This little Intarsia piece may remind you of a piano keyboard or jail cell bars, depending on your prior life experience. 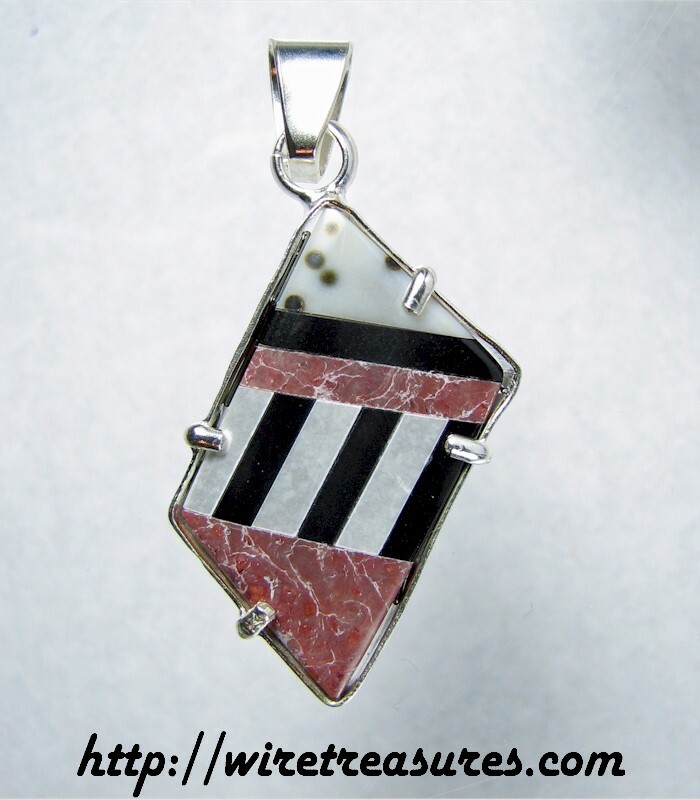 This piece has bold alternating bars of Howlite and Basinite, with Red Jasper and Polkadot Jasper as accents. The piece is supported by a Sterling Silver frame and a bale that will hold your heavier chains. This pendant is 1-5/8 inches high and 3/4 inches wide. You are visitor number 762 to this page.